LuxSci’s SecureLine end-to-end email security system enables allows customers to enable use of TLS for email delivery, without any further encryption, when TLS is supported by the recipient email servers and the customers’ needs only include transport encryption (i.e. for HIPAA). This provides security with maximum usability, when available. 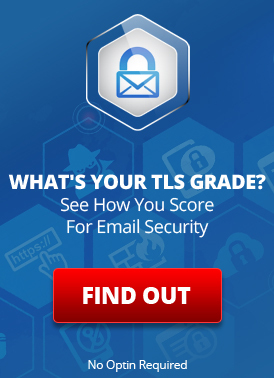 However, TLS is not as secure as SecureLine Escrow for email communications. For cases where enhanced security is desired, even to a recipient whose email servers support TLS, LuxSci’s WebMail email composer now permits users to override the use of “TLS Only” so that “SecureLine Escrow” can be used instead — on a message-by-message basis. I.e., users can now use Escrow “on demand” to provide enhanced security over TLS. Additionally, users have a new preference (under “Email Composition > SecureLine” preferences), where they can alter the behavior of WebMail so that “TLS Only” delivery is NOT used for them unless requested — Escrow can be used by default if desired. These new security settings only apply to SecureLine customers who have “TLS” enabled as a viable secure email delivery method in their account. SecureLine End-to-End Email Encryption: Easier than Ever! Are Replies to my HIPAA-Compliant Secure Emails also Secure? This entry was posted on Tuesday, March 1st, 2011 at 8:47 pm	and is filed under LuxSci Library: Security and Privacy, New Feature Announcements. You can skip to the end and leave a response. Pinging is currently not allowed.